The Chevrolet Equinox was created to capitalize on America’s obsession with crossover SUVs, and despite arriving at a time of economic turmoil in the automotive industry, the sporty midsize crossover has experienced success. Consumers have been receptive to its sleek styling, as well as its combination of performance and fuel economy. Chevrolet first introduced the Equinox in 2004 for the 2005 model year. 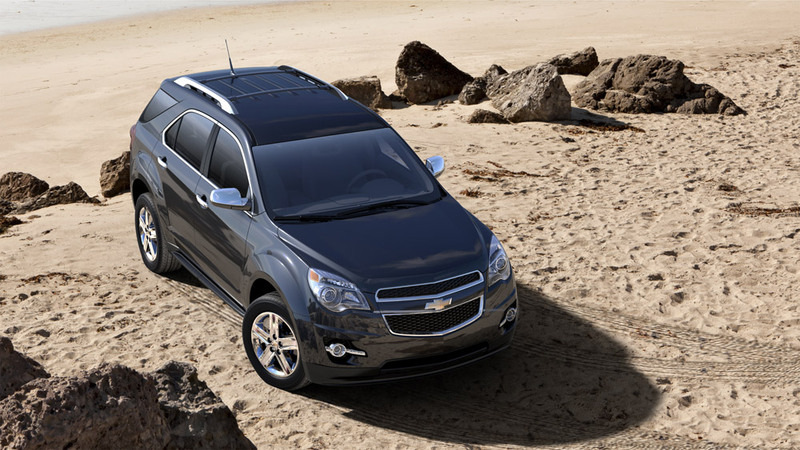 The Equinox was Chevy’s first-ever entry into the crossover SUV segment, and was created on GM’s Theta platform. Produced in Ingersoll, Ontario, the Chevy Equinox has seen just two generations, with the first ending in 2009. The 2010 redesign brought with it sleeker styling, as well as improved fuel economy – both of which were well-received by consumers. The Chevy Equinox is approaching a redesign, but the current model is still going strong. The most exciting recent advance for the nameplate has been the creation of the Chevrolet Equinox Fuel Cell Vehicle. The revolutionary Equinox is able to be powered by hydrogen only, and is expected to soon enter mass production. In 2009, Chevrolet unveiled the Equinox Team Canada Edition. The special edition Equinox was created for the Vancouver 2010 Winter Olympics and only sold in Canada. The package included chrome wheels, a sunroof, premium sound system, and special badging throughout.